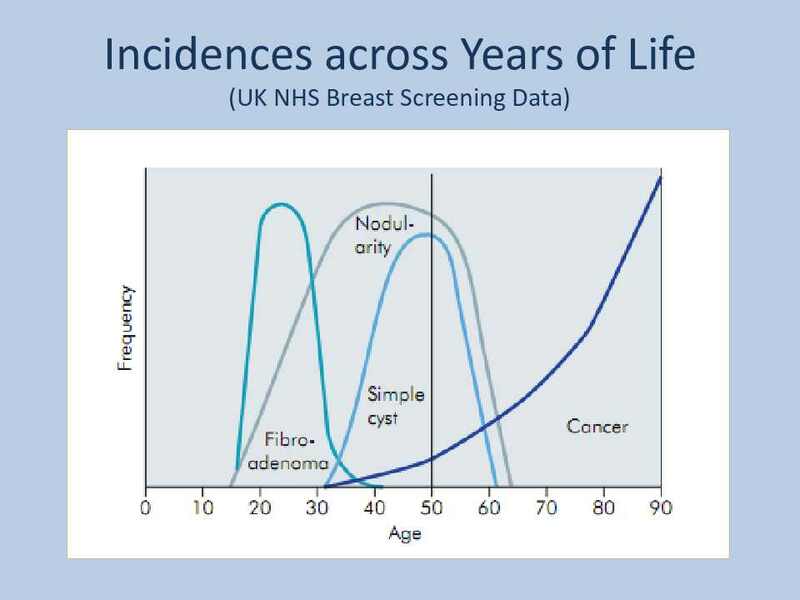 What is Aberration of Normal Development and Involution (ANDI) ? Aberrations in the Normal Development and Involution of the breast (ANDI) is an all encompassing term that is used to describe a wide spectrum of the benign breast diseases. 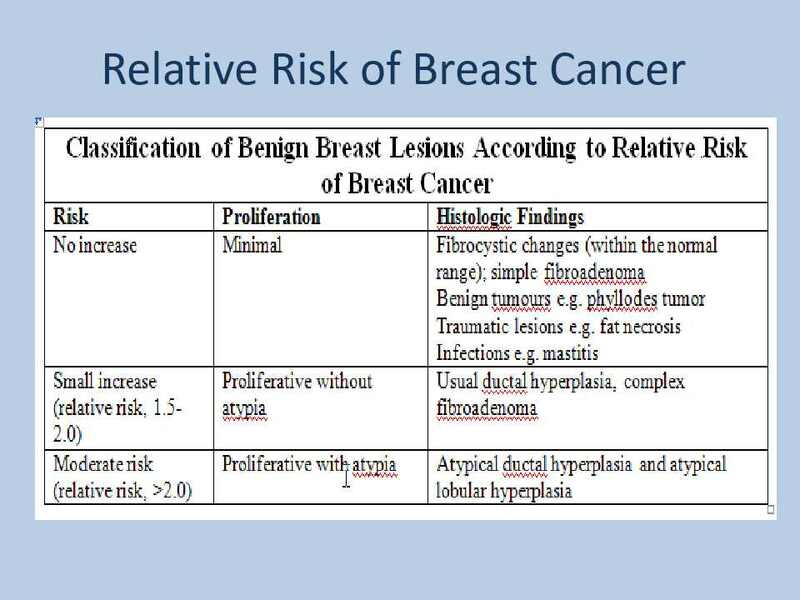 As the name suggests, it is based on the theory that most of the encountered benign breast disorders are essentially minor aberrations in the normal development process, hormonal response and involution of the breast. How does the incidences across years of life varies for Fibroadenoma, Simple Cyst, Nodularity and Breast Ca ? 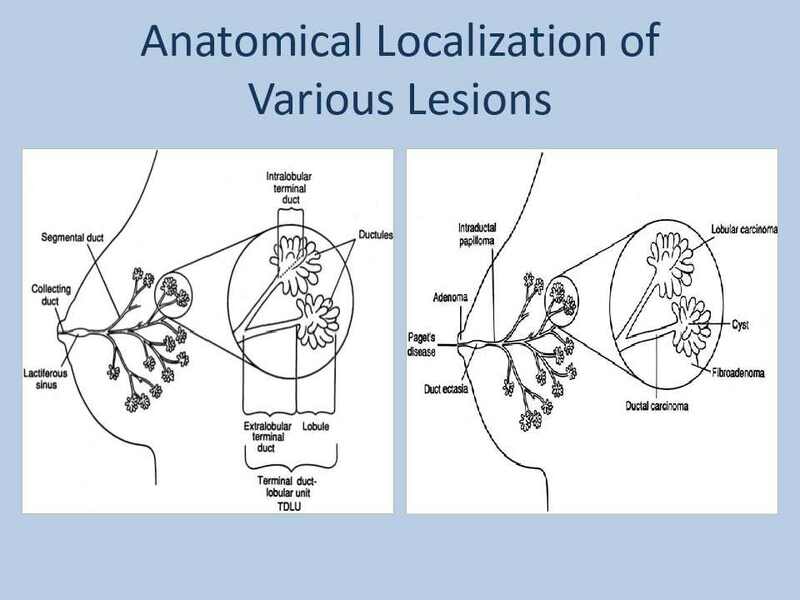 From which structure does a Fibroadenoma arise? Arises from a single lobule and is composed of epithelial and fibrous components. 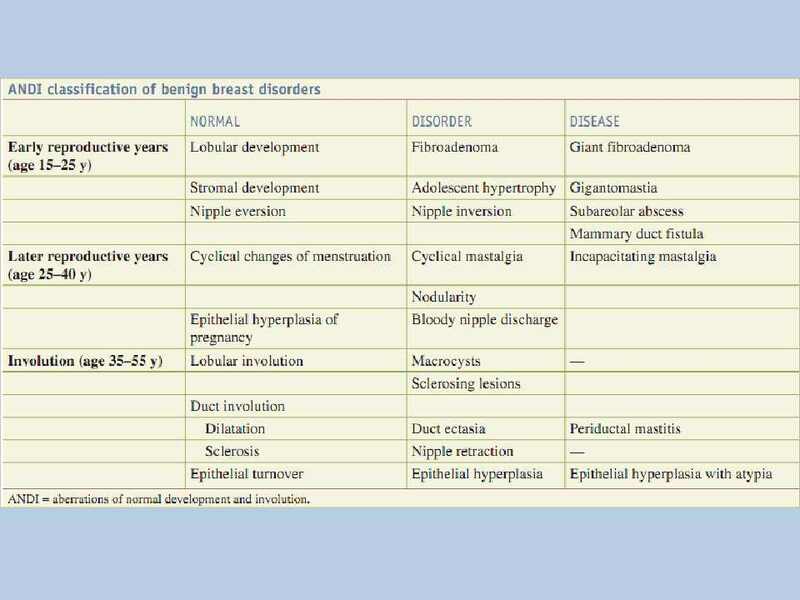 Check out the anatomical origin of various breast pathologies in the figure below. 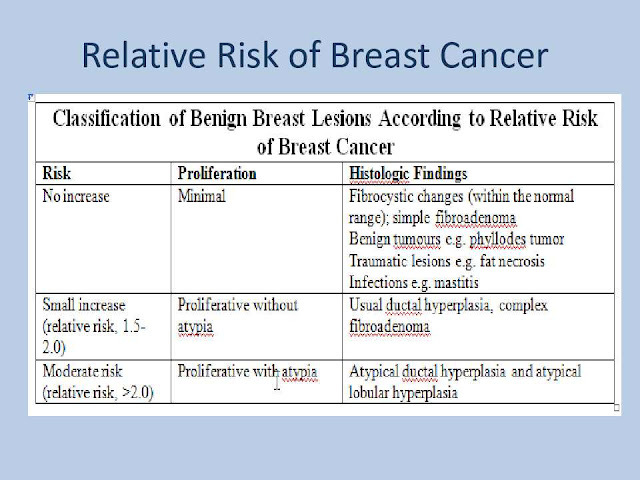 What is the relative risk of breast cancer in case of Proliferative breast disease with atypia?